The Filter Bubble: What the Internet Is Hiding from You by Eli Pariser is a book I recommend reading since most of us are online, searching for information probably not aware of what is happening with our data while we click away. The filter bubble is populated by the things that most compel you to click. Think about what you are looking for when you search and click around the Internet. You may be looking for medical information, want to know about a celebrity, or just want to shop. These may be highly personal to you but they may not be the same things you need to know or want to learn. Google declares that search is personalized for everyone, and tailors its search results on an individual basis. When you search a topic, your results will be different than someone else’s search results. The reason companies like Google and Facebook use algorithms is that, once you’ve got them going, they cost much less than hiring humans to edit the news feed or find relevant information for you. Unfortunately, you may get results based on past searches, text in email messages, chats, and just clicking on different pages while trying to find what you are looking for. Each click is captured. Each time you “like” a friend or post, that is captured as “personalized” for you. I have several gmail accounts so Google keeps all of my email received or sent so it knows who I’m connected to and all of their information. Google knows what I’ve searched for over so many years, and how much time it took me to search for something and how long I took to click a link or stay on a page. 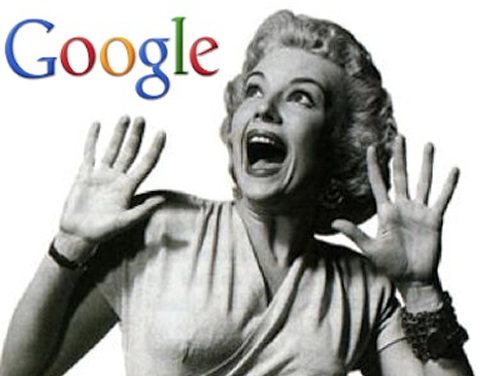 Are you aware that there are 57 signals that Google tracks about each user even if you’re not logged in? This is not personal. It’s business. It is another way to push products, services, people, and other items to you based on their algorithms. I receive ads for coach products because of my company, My eCoach. This has nothing to do with wanting or needing any coach products. It’s just seems relevant to the algorithms. I also get trends and news sent to me even though I’m not interested in what is sent to me. I learn about different stars breaking up and other not so interesting news. I really don’t need that either. There’s a basic problem with a system where Google makes billions off of the data we give it without giving us much control over how it’s used or even what it is. Ed tech has, in fact, helped spur new kinds of freedom. Teachers aren’t the only ones who see technology’s potential in the classroom—entrepreneurs see it as a way to make money, and policy makers see it as a way to cut costs and, in some cases, eliminate teachers. Technology adapts curriculum, analyzes data, stores content, allows anonymity, and produces vast amounts of information. In many of these cases, companies frame what they do with technology as personalized learning. 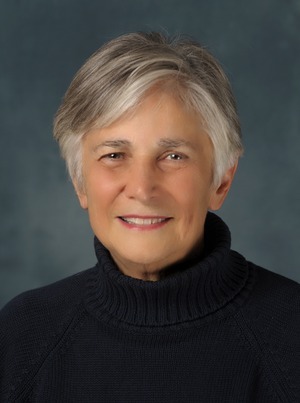 Diane Ravitch is a historian of education at New York University. Her best-selling book, The Death and Life of the Great American School System, has made her one of the nation’s most sought after speakers on current issues. She is a graduate of Houston public schools, Wellesley College, and holds a PhD from Columbia University. 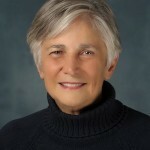 She has received nine honorary doctorates and many awards for her scholarship. She served as Assistant Secretary of Education for Research and Improvement in the administration of President George H.W. Bush and was appointed to two terms on the National Assessment Governing Board by the Clinton administration. She lives in New York City. Educational companies are framing personalized learning to adapt what you learn. Their software adapts to your learning so learners sit in front of a computer half a day. It is also being framed as a way to make learning cost-effective and guarantees increasing scores. They are promoting that computers can take over the work of a teacher. This is what I say: “A computer cannot personalize learning like a teacher and a student can.” It is all about the learner not the software, the textbook, or the tools. Blended learning refers to any time a student learns, at least in part, at a brick-and-mortar facility and through online delivery with student control over time, place, path, or pace. [source: infographic] This sounds like personalizing learning to me. Yet, something’s happening how schools are using the blended learning approach. Online learning is sweeping across America. In the year 2000, roughly 45,000 K–12 students took an online course. In 2009, more than 3 million K–12 students did. What was originally a distance- learning phenomenon no longer is. 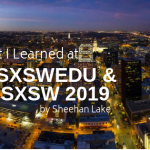 Most of the growth is occurring in blended-learning environments, in which students learn online in an adult-supervised environment at least part of the time. As this happens, online learning has the potential to transform America’s education system by serving as the backbone of a system that offers more personalized learning approaches for all students. They continue with a concern about the numbers of students who will have access to o online learning opportunities. There is a limit, however, to the number of students in America who have the ability to be home-schooled or attend a full-time virtual school. The same analysis that shows that 50 percent of all high school courses will be delivered online by 2019 reveals that home schooling and full-time virtual schooling will not substitute for mainstream schooling, as their rapid growth flattens out at around 10 percent of the K–12 schooling population. There is a limit, however, to the number of students in America who have the ability to be home-schooled or attend a full-time virtual school. The same analysis that shows that 50 percent of all high school courses will be delivered online by 2019 reveals that home schooling and full-time virtual schooling will not substitute for mainstream schooling, as their rapid growth flattens out at around 10 percent of the K–12 schooling population. Blended learning means something different to different groups depending on the ages of students, access to resources, teacher support and training, integrating digital literacy, assessment strategies, and amount of collaborative planning time. Blended learning should transform learning, not just replicate teaching: Companies want graduates who can source, filter and use existing knowledge to create new knowledge, and the university is key to equipping students with these skills. Yet we seldom see technology tools being used in radically new ways in Higher Ed. 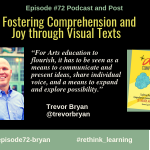 They are usually used to replicate lectures – think of websites or podcasts – rather than enabling students to learn in new ways. Littlejohn makes a point that the relationship between blended learning and digital literacy is important, yet often overlooked. There are few well-defined ideas on how learners make connections across distributed networks and how they chart their learning pathways.Most of the blended learning models that I’m finding in my research so far talk about learning pathways and students’ personalizing their learning, but, in most of the models, the schools “personalize” students’ learning and adapt their students’ learning paths based on test scores and the level they reach on some online activities. Teachers may differentiate activities that they post on their website or “flip the classroom.” I like the idea of flipping the classroom so the real work in the classroom is meaningful and relevant. However, these activities are so much work for teachers. Teachers are working after-school taking up much of their own time to develop materials, lesson plans, and websites. Teachers spend time compiling data to determine how to teach to the different groups of students in their classroom. They assume that if they differentiate instruction, then each student in their classroom will understand the content. Teachers should not be the hardest working people in the classroom. When you look at the blended learning model for Higher Ed [Blended Learning Toolkit], teaching is teacher-directed either on-site and online and self-directed. With the availability of iTunes University, Open Education Resources [How to create your own textbook] and digital textbooks or Flexbooks [CK12/flexbooks], teachers from K-20 are picking and choosing resources to customize instruction. 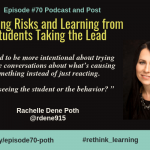 In all these cases, are we as teachers understanding how our students learn best? Are we taking into account each learner is not only different but they may learn in a different way? That’s a lot to think about. There are organizations like Rocketship Education that are using adaptive courseware for students to increase their achievement in specific content areas like math and reading. These tend to be in lab situations monitored by a para-professional or teacher. The concern I have for this model is that student learning pathways are based on algorythms calculated from the answers students choose. The student has not designed their learning path or determined how they learn best using the different games or online activities. Student test scores do go up, but are students learning critical thinking skills? Some students don’t learn well this way — some do well for a time and then plateau. In this case, the software doesn’t take in account how the learner learns best. They may move to a different level or receive intervention strategies to understand the content, but do they really “get” it? How can a computer understand how each learner learns best? How about changing the word “Student” to “Learner?” Student implies that they can only learn from a teacher. Learner implies a different role for teacher and learner. The learning starts with the learner. The learner drives and owns their learning. How about re-evaluating how the learner learns and using that information to design their personal learning path or personal journey? learners are able to determine how they learn best? teachers are co-designers of blended learning environments with learners? 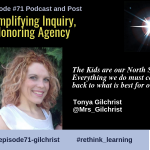 learners have a voice and choice in the way they learn? 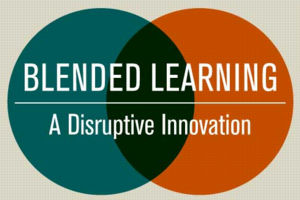 there are a variety of opportunities of blended learning approaches to choose from? We will see and research more models and examples of personalizing learning. 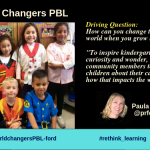 Just think we are in the middle of discovering and transforming learning. We will have to figure out how to personalize learning for all learners of all ages. The time is now. This is very exciting to be part of this type of transformation of learning. There will be lots of tugging and pulling and pushing to get it the right way. But I don’t think there will be one right way. I’m thinking each learner’s learning path will be their way. Is this personalizing what you want or actually customizing what a company can market to you? “We can provide reminders that you’re going to be late for a meeting based on your location, your calendar and an understanding of what the traffic is like that day,” reads Google’s blog explaining the search giant’s unified policy. This works whether you’re accessing Google on your computer, tablet or cellphone, as long as you’re logged in according to Technolog on MSNBC. “People still have to do way too much heavy lifting, and we want to do a better job of helping them out,” Google points out. For some time now, Google’s been able to connect your phone with your phone number and carrier, identify your computer model and OS (right down to the serial number), collect your IP address (traceable to your real-life address), and save what you’ve searched for. 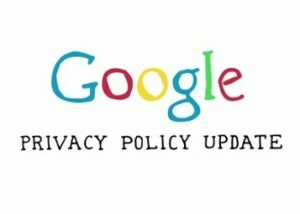 The policy states that Google will collect your location information, even if you have your GPS turned off. It says it will collect cookies data and other information about your devices. But the policy also states that Google can change your information and show information about you to others without your express consent. Did you know that? So what if the data will be used for advertisements? That’s nothing new. The only difference is that the advertisements will be truer to your interests. Customized! Remember — Google is free. They need to pay for their services somehow. Right?